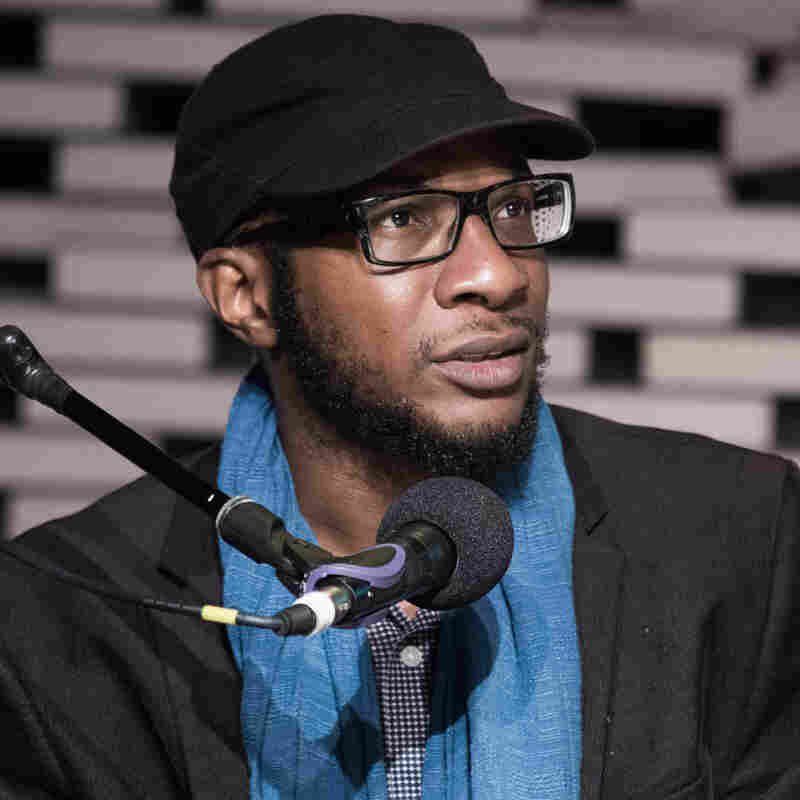 Teju Cole Writes A Story A Tweet At A Time Nigerian-American writer Teju Cole has always used Twitter in creative ways. He recently asked a few dozen followers to tweet one line each, which he turned into a short story. Cole tells host Michel Martin more about the project. Teju Cole's novel Open City may have won him critical acclaim and many fans, but that doesn't mean he can stop thinking about how to connect with his readers. "I actually do have to work hard for whatever attention my work gets," Cole tells NPR's Michel Martin. And he is using unconventional methods to get that attention. After a recent, "much needed break from the hectic environment that Twitter sometimes can be," his 120,000-plus followers noticed some activity on his feed. More than 30 retweets later, "Hafiz," a short story written by Cole, emerged. "I had written this story, and I was thinking to myself how I would publish it, and there are any number of places I could publish a short story," he points out. "But I think I have a natural inclination to try new things when it comes to storytelling." As far as I was aware, nobody had actually used the retweet to create a narrative. And so I took advantage of the hospitality of my friends and followers online by asking them to tweet out certain things, which to people who are reading them on their feeds would just be sort of random sentences. But when I retweeted all of these things, in sequence, they all joined together to make a coherent story. It was just an idea, very much dependent on the generosity and kindness of the people I asked to participate, and I think it worked out quite interestingly. I just think it has to do with not feeling as if the audience owes me anything, that I actually do have to work hard for whatever attention my work gets. Sometimes it would involve publishing something in The New Yorker, which has a subscription base and an established audience, and sometimes it involves using media or a forum that is not necessarily associated with, you know, very serious work. Maybe it's just a generational thing where I don't think that print media has to be the be-all and end-all. A lot of the people I want to be read by, a lot of the people I want to speak to, are not people who have subscriptions to The New Yorker or The New York Times, so it's important for me to speak to them in this way also. I mentioned the word generosity earlier. You know, I've thought about ideas of hospitality. Sometimes it's just really important to be in a place together and do something, and that brings its own rewards in a way, you know? Yes, there are many things I do that I get paid for, you know; I give talks, I'm a teacher, I publish. But if you think about your work only in terms of what is generating income for you, I think that work would probably die on the vine. What interests me is polished language, language that one has worked on. The way that it can work inside this medium where a lot of the language that you're seeing is not carefully considered. And then you put these very clean, simple sentences out there, and people think, "Oh, that's having some kind of strange effect on me, but I'm not sure why." But you as a writer know that it's because you have quite carefully thought about the placement of your commas, and about your word choice, and about using simple words, and about using slightly unusual grammar, or that sort of thing. Basically the same way that you would have an effect on your reader if you were writing an article for Harpers or The Atlantic or if you were publishing a novel.